Indigenous People Need Our Help ~ Occupy Belo Monte Dam ~ Protect the Amazon. 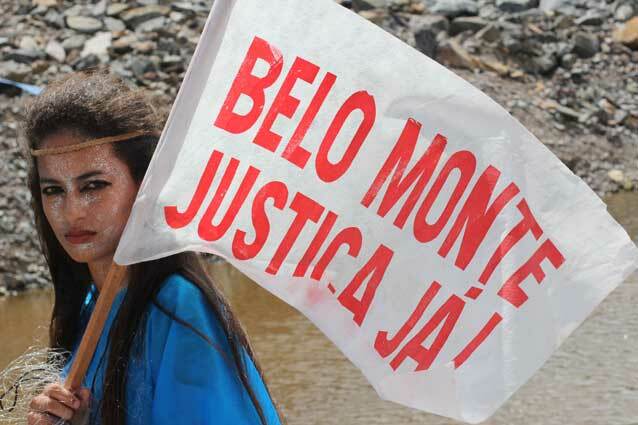 Please donate today to help sustain ongoing mobilizations against the Belo Monte Dam. Donation Link Below. CLICK HERE TO DONATE TO SAVE THE AMAZON. CLICK HERE TO SUPPORT CHIEF RAONI ON FACEBOOK. CLICK HERE TO JOIN AMAZON WATCH ON FACEBOOK. Posted on May 10, 2013, in Earth Rights, Fund Raising for Earth Rights. and tagged Amazon, amazon watch, Arara, Asurini, Belo Monte Dam, Brazil, Chief Raoni, Climate Change, DAMOCRCY, dams, fishermen, global warming, Indigenous Persons, indigenous warriors, Juruna, Kayapo, Kuruaya, Munduruku, occupy, Parakanã, resistance, riverine, rivers, Xingu, Xipaya. Bookmark the permalink. Leave a comment.